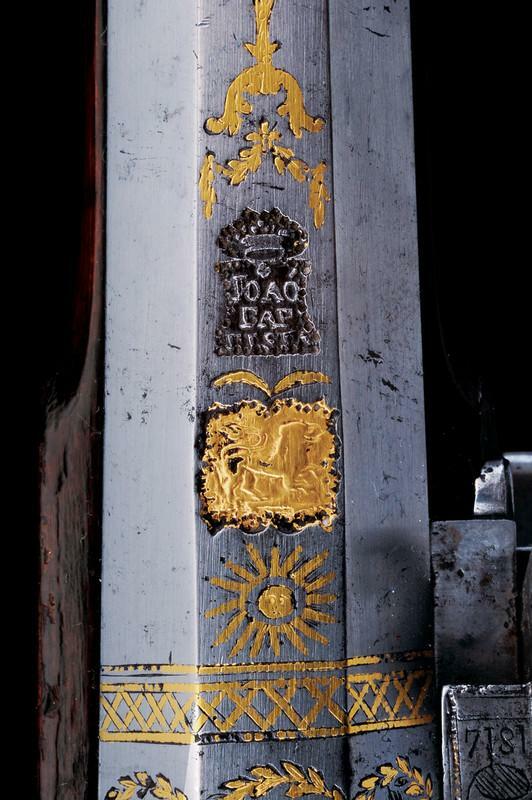 Smoothbore two stage barrel, with rings and floral patterns at the girdle, above the burst chamber the marks "JOAO BAPTISTA", crowned, between a cross and a sun, over the cross is a crowned eagle surmounted by a sun, signed "ARSENALE REAL DO EXERCITO DO R.o DE JAN.RO ANNO DE 1814" in gold, the ends of the octagonal portion and the one around the foresight are inlaid with golden decorations; tang with rearsight, decorated en suite; fine lock with the same mark, fretwork, engraved and gilded with floral and geometrical motifs, the square batterie is marked "JOAO BAPTISTA R.O DE JAN.O 1814"; elegant reddish wood stock, finely fretwork around the tang and ribbed at the stock; trigguer guard engraved with Brazil's arms, underneath a crown among floral motifs, the tip is acorn-shaped with golden decorations that are also on the guard with the monogram "P1" underneath the imperial crown, inventory number "N 27" between golden screws decorated with roses; two engraved barrel brackets, silver-tipped wooden ramrod. 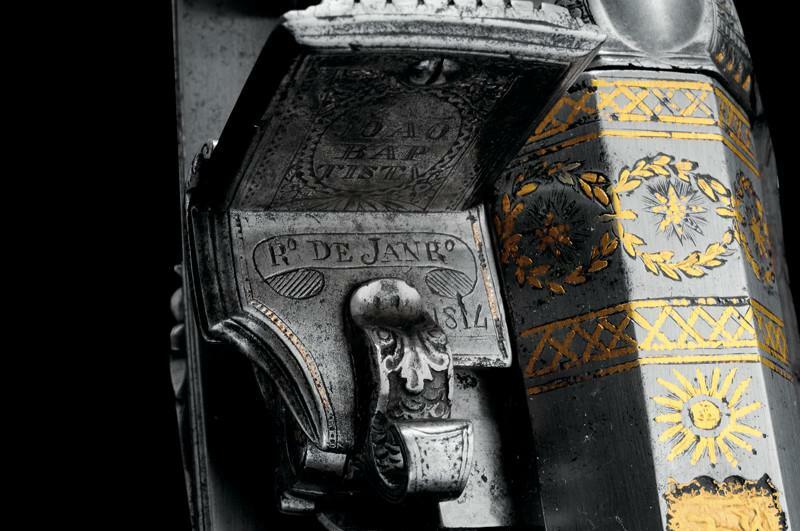 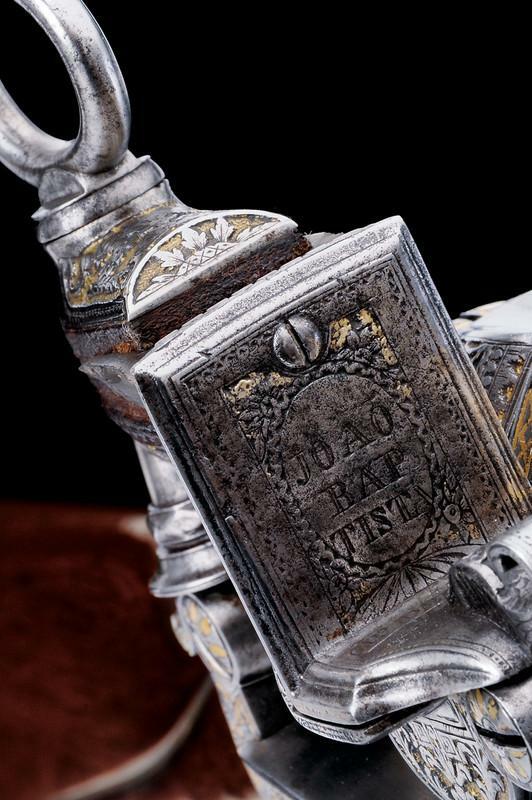 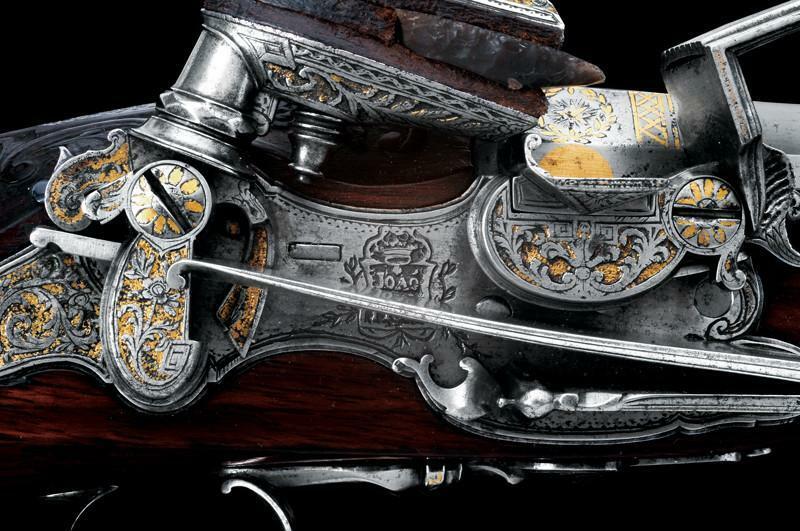 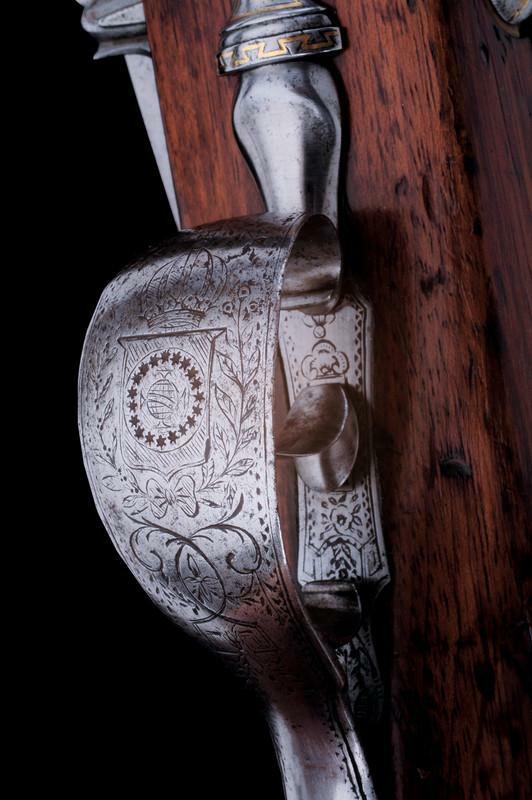 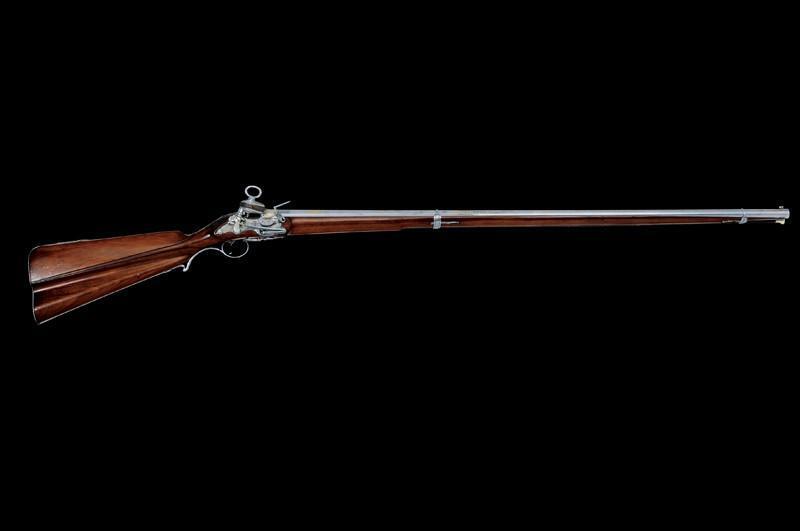 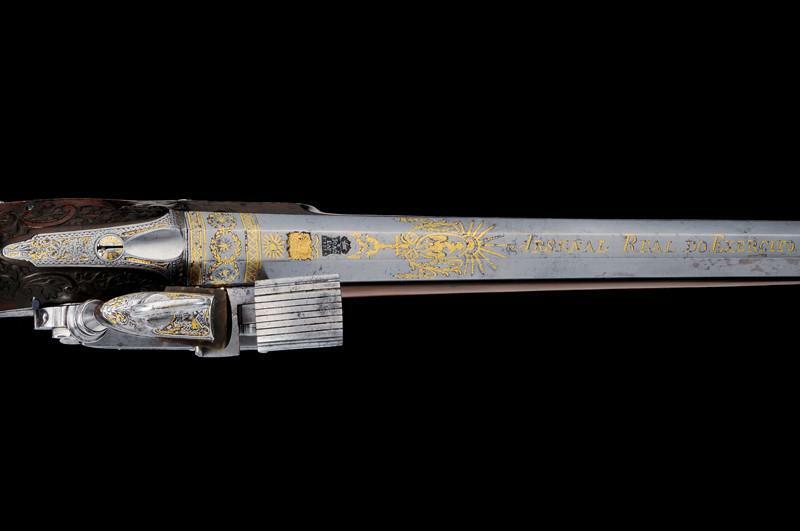 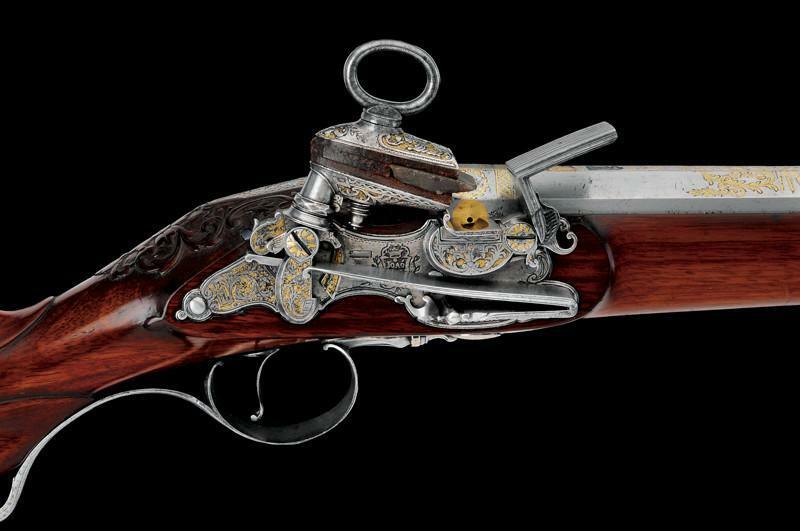 Exceptional gun of extraordinary historical importance belonging to the period when Peter was the Crown Prince. 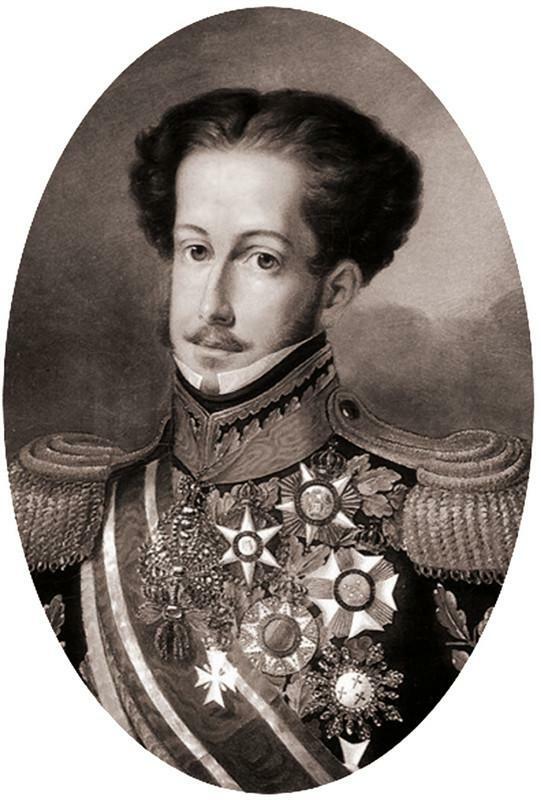 Born in the Royal Palace of Queluz in 1798, where he will die in 1834, he becomes the first Emperor of Brazil in the year 1822: Brazil, which was a territory controlled by the Portuguese Crown, became an official Portuguese colony (1500-1816) and finally Indipendent Empire of Brazil from 1822 to 1889. 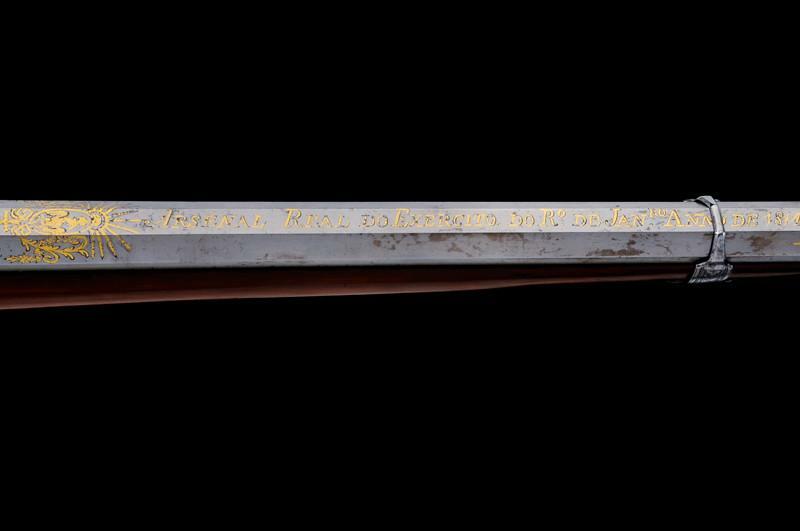 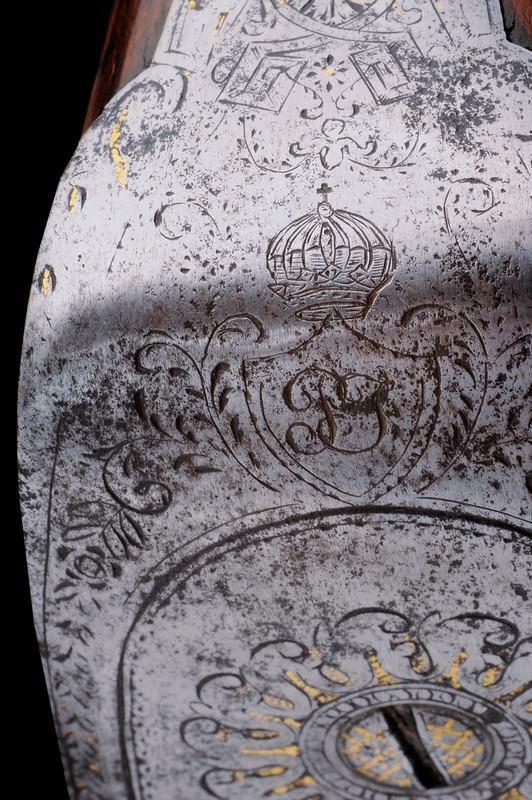 The monogram with the Imperial Crown on the guard and the imperial inventory number show that this exceptional weapon accompanied Peter from being the Crown Prince of a reign to being at the head of an empire.